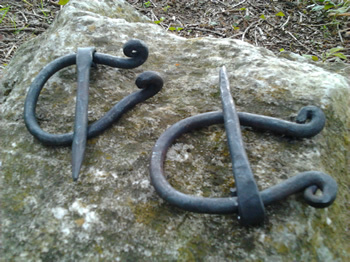 Practical skills and hands on activities make history come to life. 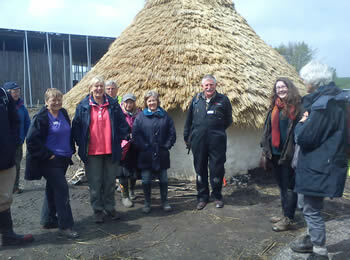 The History People offer a range of adaptable workshops and educational visits to cover many historical periods. Our activities can be tailored to your requirements and adapted to your needs. The list below will give some idea of the things we can offer you, but it is not exhaustive and we are happy to create something to suit your needs. Our authentically costumed, experienced and knowledgeable workshop leaders can come for a couple of hours or stay for a week and build a complete Paleolithic hunter gatherer encampment or Neolithic farm! 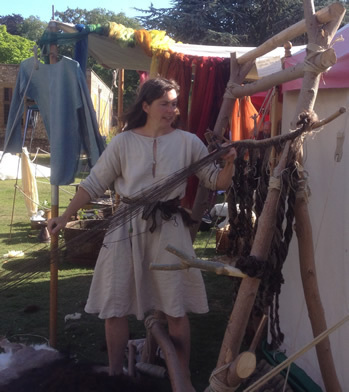 Hands on activities including spear throwing and slingshot, try your hand at silent stalking, shelter building (with animal skins), friction fire lighting, make a 'Venus' figurine or a clay animal, grind earth pigments and try some cave painting or explore nature awareness. 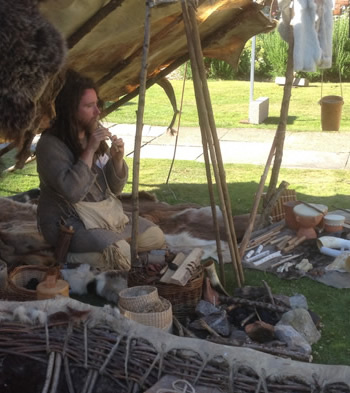 Learn about the Neolithic by grinding wheat into flour and making bread, making a wattle and daub wall, weaving cloth, dyeing with plants and felting wool. If Drama and Music is your interest, we can explore the change between Paleolthic and Neolithic with Stone Age, The Musical, a day long workshop of dance, music and song, using authentic instruments and following the story of our hero who brings the first wheat seeds to his tribe. 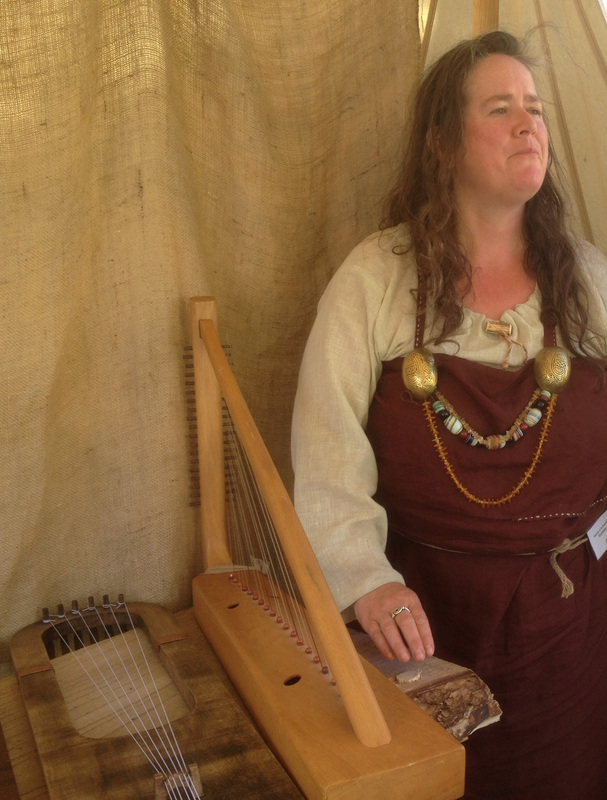 Our authentically costumed, experienced and knowledgeable workshop leaders can help bring the Iron Age to life for your students. Explore the defining characteristics of the Iron Age with activities such as weaving, spinning and dying, light a fire and then forge iron on our portable forge, practise Roman military drill, re-enact the religious rituals of the Druids and the Romans, build with wattle and daub, plough the land, plant crops, mill your grain to flour with rubbing stones or a Roman style rotary quern and then make some delicious flatbreads! We are happy to be able to offer several permutations of workshops on this theme, all featuring authentically costumed knowledgeable and experienced teachers as usual! 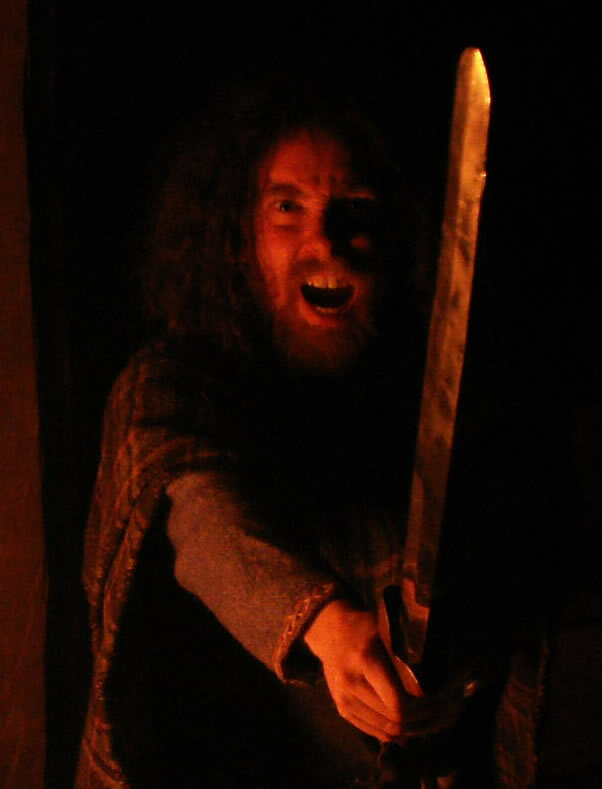 We can offer a general Saxon or Viking workshop which includes such activities as military manoeuvres (forming the shieldwall), weapons practice with spears, slinshots and the chance to handle swords, shields and axes, dressing the warrior and his wife, conducting a Pagan Blot or Christian ceremony, hosting a symbel (toast ceremony) plus storytelling with Beowulf or a variety of Viking myths. Secondly we can offer a music based workshop with songs and authentic instruments, hands on activities such as a rowing song, ring dance, recreating pastural soundscapes or shoutng battle cries! We also offer training for teachers and other education or museum professionals. This can be for professional development or as preperation for a scheme of work. Learning a few skills to show your students can really enhance your teaching practise. There are many ancient skills that are easy for teachers to learn and great fun for children to do. Using these skills really brings home how the ancient people lived their lives using their knowledge and the resources around them to fulfil all their daily needs. 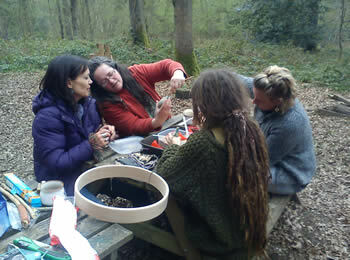 Making natural cordage (string and rope) from fibre bearing plants such as nettles, grasses and rushes. Finished cordage can be used for simple decorative items children can keep such as bracelets, incorporated into shelters or used for more complex projects such as rush matting cloaks/bedrolls or nets used in hunting. Making fire using friction with a bow drill or by using flint and steel. Fire lighting is a basic human activity and children can learn a lot about natural resources and ancient life-ways by gathering tinder and fuel, and either making fire themselves or seeing their teacher make fire in a historical way. Cooking ancient food on the fire takes it to another level! Shelter building. Another primal human need, discovering that we can literally be 'at home' in nature is great fun for children and with a few ideas and a little practise teachers can easily facilitate such an activity. Fibre-crafts. Spinning, weaving and felting were part of everyone's daily life in the past and creating felt or finger spinning wool are great ways for children to learn about the shepherding economy of ancient Dorset. Simple dye and paint making. Paints and dyes made from natural materials can be used in all manner of artistic ways! Making Glue. Pitch glue, as used by our ancestors for everything from fixing spearheads to waterproofing boats can be made from collected pine sap, beeswax and charcoal. It sticks brilliantly and even smells nice!